After being struck with cancer, a teacher from Hertfordshire picked up a small uninhabited isle for a song, intending it to be the last resting place for him and his wife. It was on the isle of Avalon, a place of tranquil beauty and filled with the apple trees from which it took its name, where the legendary King Arthur was said to have been lowered into the ground. Various places, like the Canary Islands and Glastonbury, have been suggested as the fabled “Isle of Apples”, but real proof of Arthur’s seaside gravesite has so far proven elusive. There will be no such confusion about the intended last address of Piers Casmir-Mrowczynski and his wife Pauline, however – Mackenzie Island is pretty easy to find on a map. Perhaps inspired by the romantic notions of the Arthurian legend, the teacher from St. Albans had set about finding the perfect final home for him and Pauline, finally settling upon the idea of an island burial. He had been looking rather closer to his home in Hertfordshire , in the south of England, but as British isles proved too expensive, he expanded his search to Scotland. Eventually, just off the coast of Islay, facing out into the steely gray Atlantic, Piers found exactly what he was looking for – and at the right price, too. Formerly owned by a successful French whisky distiller, Mackenzie Island was originally on the market for £90,000, but Piers was able to pick it up for a heavily discounted £55,000. The price seems quite reasonable, but of course, this is for an island with absolutely nothing on it aside from craggy rocks and grassland. One former owner used the island to graze cattle, which was a perfect fit, given that no fencing was required to keep them from running away! 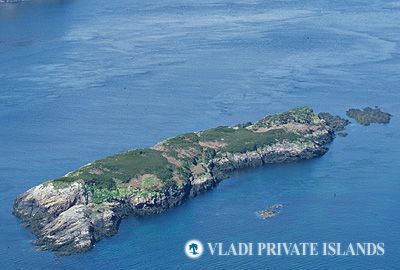 While this small and untouched – not to mention astoundingly cheap – Scottish isle may seem like an unusual offering, similar properties do appear on the market, according to Hamburg-based luxury real estate firm Vladi Private Islands. At just 3.9 acres and found to the east of the Isle of Skye, the tiny Eilean an Seamraig is on the market for a highly affordable £45,000 – perfect for anyone who may wish to follow in Piers’ footsteps. There are reasons for the low price on Mackenzie Island – located in an area of special environmental protection, it’s unlikely that a cottage or other development would be permitted. 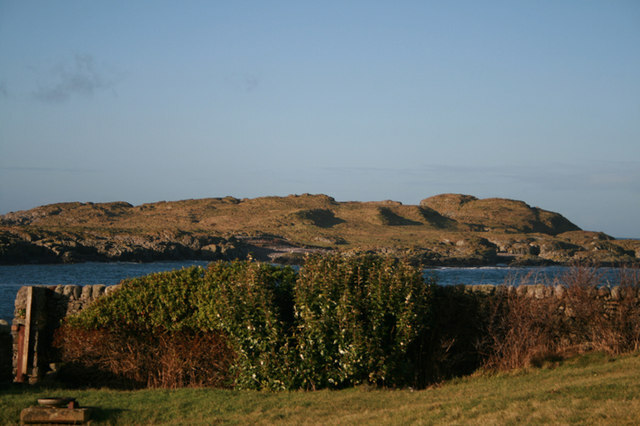 On the plus side, however, there is potential for fun day-trips or camping – the island is quite close to amenities as it’s just across from the picturesque town of Portnahaven on Islay, and seals and other wildlife frequent the narrow channel in between. At over 42 acres, there is also ample space for what Piers intends to use it for.